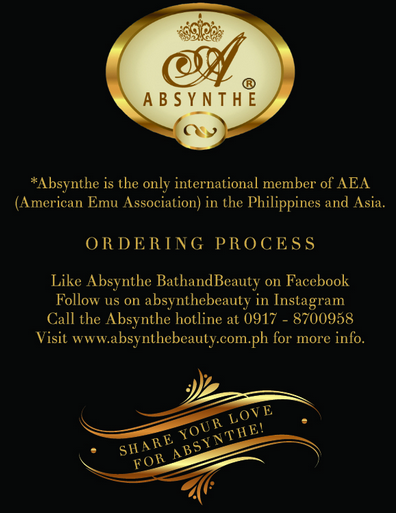 Absynthe Bath and Beauty has been bridging the gap between affordable and high quality, organic products since 2008. Their skin care lines are ethically produced from natural and organic certified ingredients, pure essential oils, and bio and marine active plant extracts. All Absynthe Bath and Beauty products are absolutely free from GMO, Parabens, Triclosan, Chemical Detergents such as SLS/SLES, and their exclusive formulas do not contain Petroleum by- products. It is Absynthe's philosophy to empower women not just by looking their best on the outside but to feel great and fulfilled on the inside as well. They are the first direct selling brand that uses social media as its platform in selling honest to goodness products and they have also opened their doors to women who want a fair opportunity to earn while in the comfort of their own homes. Hair Goddess Shampoo and Conditioner - contains a combination of argan and emu oil. Doesn't lather much but leaves hair really soft and smelling delicious. Argan Oil - 100% pure with no fillers, can be used from head to toe. 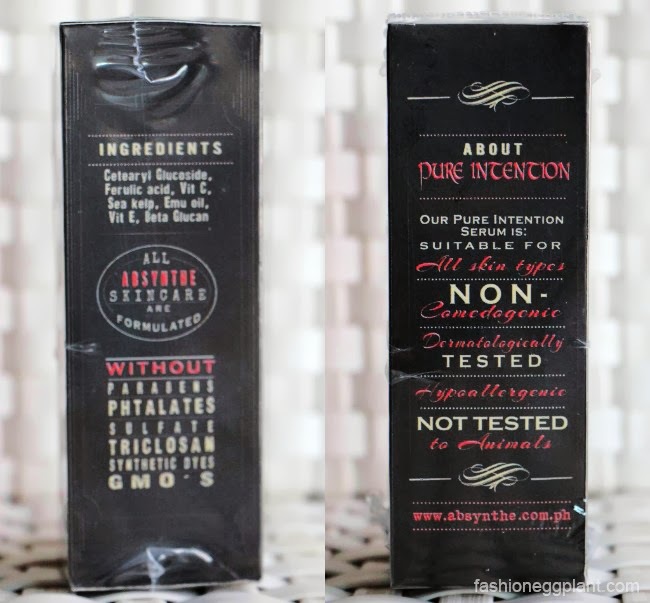 Great for restoring hair's luster (esp. 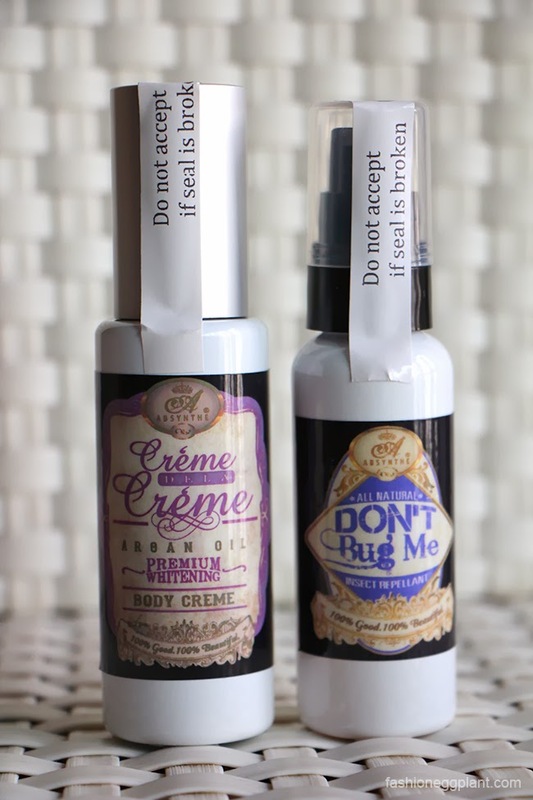 for chemically treated hair), cuticles, elbows, knees and even as a daily facial moisturizer. EMU Oil - Pure, unadulterated and fully refined AEA certified oil. Great for skin problems such as eczema, psoriasis, burns, scars, stretchmarks and even skin asthma. Safe to use on babies. Pure Intention Serum - infused with super antioxidants and fortified with emu and elemi essential oils for a rejuvenating and lifting effect. Promises beautiful and glowing skin every morning. Don't Bug Me - absolutely deet free. Contains lavender, citronella, peppermint and lemongrass. A little goes a long way and works extremely well. Hair Potion - smells sooooo good! 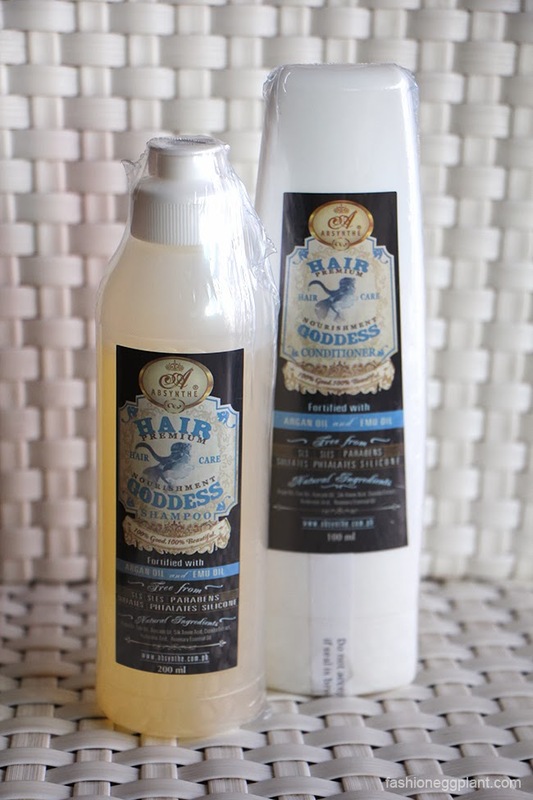 No more bad hair days with these, totally eliminates frizz and protects hair from heating elements. 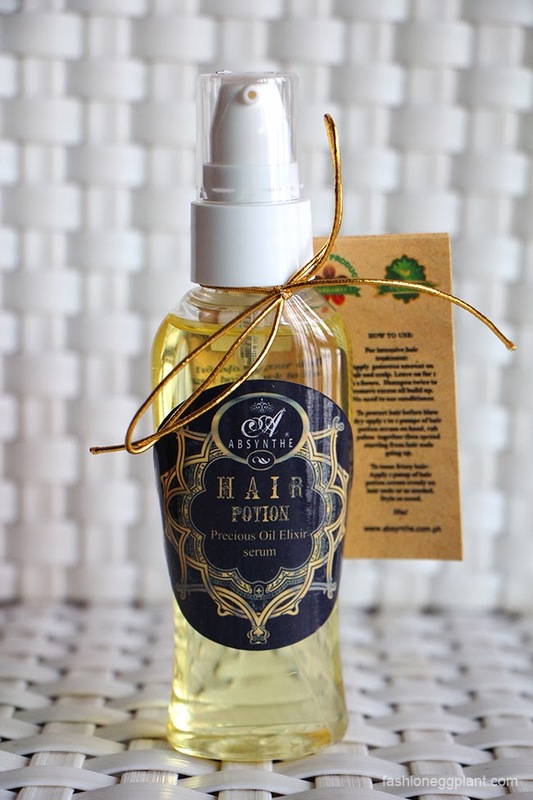 Contains argan oil, maracuja oil, meadowfoam oil and avocado oil. One of my faves, highly recommend this one. 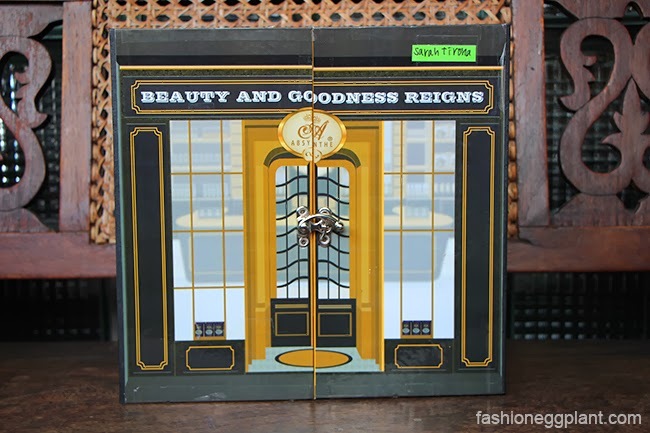 The box alone looks awesome! :D i'm particularly interested with the argan oil!